SAN ANTONIO--(BUSINESS WIRE)--Aug. 27, 2018-- Abraxas Petroleum Corporation (“Abraxas” or the “Company”) (NASDAQ: AXAS) today provided operational, leasehold and corporate presentation update. As reported on the Q2 earnings call, Abraxas owns 9,780 net acres in the Southern Delaware Basin of West Texas. This excludes approximately 2,200 acres of perpetual mineral acres near the Alpine High area in Pecos County. We have closed and are in various stages of due diligence on several additional transactions that will likely increase our total net acreage footprint to over 10,500 net acres. Our recent transactions have been consummated at considerably less cost per acre than other recent transactions reported by others in the area. In total, they can be characterized as consolidating our acreage into contiguous operated blocks with high working interests. Concurrent with this release, we have released a new corporate presentation which includes a map of our current acreage position in Ward County. After detailed geologic interpretation of our acreage, we have concluded our existing acreage contains approximately 361 gross future locations for 5,000’ laterals that we would consider highly prospective from our drilling operations as well as from offset operator results on 1,320’ spacing. This number would approximately double if optimum spacing is determined to be 660’ between wells in the same zone. This future location count considers as many as 6 landing zones, not all of which are considered currently prospective on all of our current acreage. Approximately 32% of our locations for 5,000’ laterals could be combined for future 10,000’ laterals should conditions warrant. Approximately 91% of our future locations would be operated. On our four well Caprito 99 pad, we are testing spacing of 660’ between wells in the same zone, as well as parent child relationships between the new wells and a well that has been on production approximately two years. After our conservative flowback protocol, all four wells appear to have reached peak producing rates approximately 50 days from producing first oil. For the last 30 days, the two wells (Wolfcamp A-1 and Wolfcamp A-2) 1,320’ from the older producer have averaged 908 barrels of oil equivalent per day (two-stream, 82% oil). The two wells located 660’ from the older producer, also in the Wolfcamp A-1 and Wolfcamp A-2, have averaged 604 barrels of oil equivalent (two-stream, 85% oil). The parent child relationship is obvious, but it is too early in the life of the new wells to quantify; however, we are still evaluating data to determine the relationship, if any, between the new wells that are 660’ apart in the same zone with approximately 150’ vertical separation between the Wolfcamp A-1 and A-2. All four wells are producing above our type curve for 5,000’ laterals in both zones. The lateral lengths on all four new wells approximates 4,800’. Abraxas owns a 57.8% working interest in this pad. Also in Ward County, the two well Greasewood pad with 4,800’ laterals in the Wolfcamp A-1 and Wolfcamp A-2, has started producing oil after flowback started approximately two weeks ago. Abraxas owns a 100% working interest in this pad. Still in Ward County, the frac date for the two well Mesquite pad has been moved up to start around September 10. Abraxas owns a 73% working interest in these 4,800’ laterals in 3rd Bone Spring Shale and 3rd Bone Spring Sandstone. 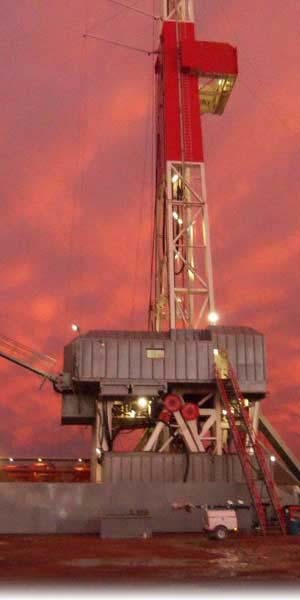 Our rig is currently drilling below 6,000’ on our Pecan 47 well, a scheduled 4,800’ lateral in the Wolfcamp A-1. Abraxas owns a 100% interest in this well. The rig is scheduled to move to our two well Creosote 86 pad for 4,800’ laterals in the Wolfcamp A-1 and Wolfcamp A-2. Abraxas currently owns a 100% working interest in this pad. In North Dakota, the three well Yellowstone NE Central pad with two wells completed in the Three Forks and one in the Middle Bakken, achieved an average 30 day rate of ~1,500 barrels of oil per day (two-stream, 74% oil) per well, significantly above our area type curve for each zone. Abraxas owns a 51.6% working interest in this pad. The four well Lillibridge NE pad with two wells in each, the Middle Bakken and Three Forks, achieved an average 30-day rate of ~900 barrels of oil per day (two-stream, 76% oil). This average is above our type curve, which we consider satisfactory given that these were in-fill wells to parent wells that have been on production approximately five years. Additionally, the parent wells achieved a significant boost in production due to the offset child fracs. Abraxas owns an approximate 27% working interest in this pad. The four well Ravin NE Central pad is scheduled to commence frac operations in mid-September, immediately followed by the four well Ravin NE pad on which the Company owned drilling rig, Raven Rig #1, is finishing the drilling of the third of four laterals. Abraxas owns an approximate average 47% working interest in these eight wells. The rig is scheduled to move to the four well, Lillibridge NW Central pad next. Abraxas Petroleum Corporation is a San Antonio based crude oil and natural gas exploration and production company with operations across the Permian Basin, Rocky Mountain, and South Texas regions of the United States.